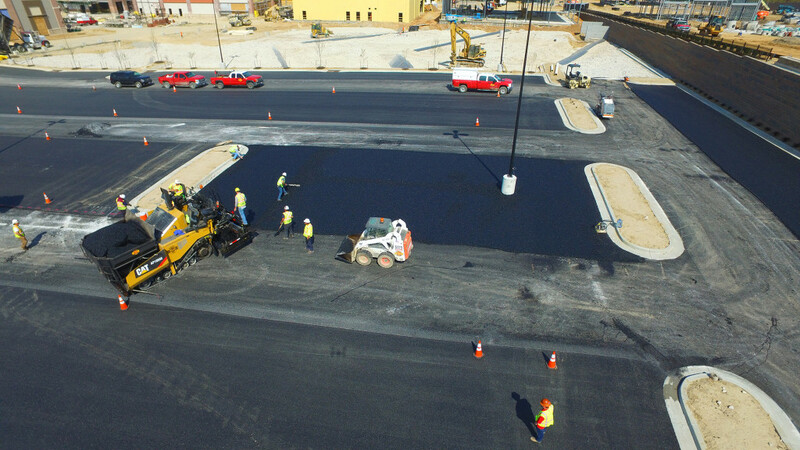 This commercial project was C.J. 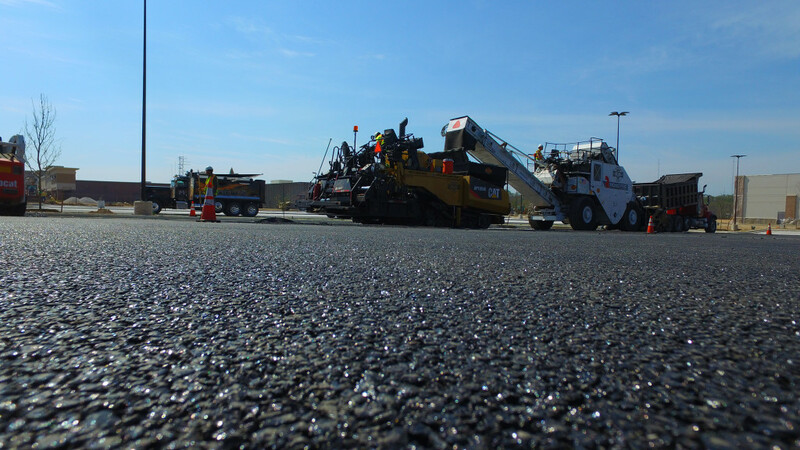 Miller LLC’s largest single porous pavement job on the East Coast to date, incorporating 5,000 tons of porous asphalt. C.J. 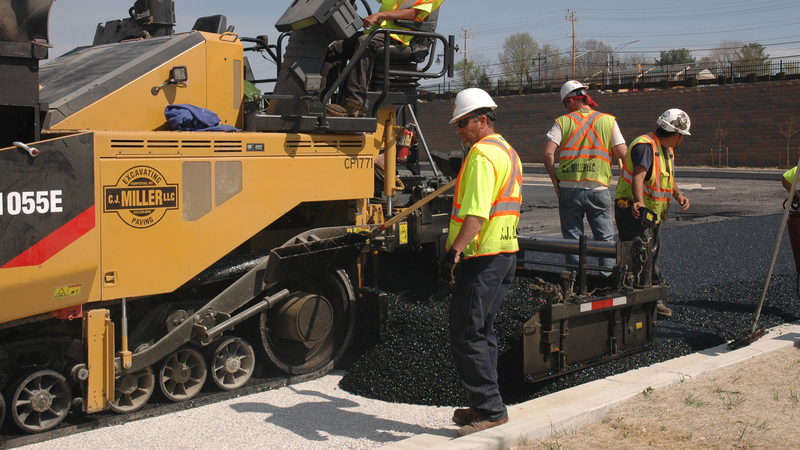 Miller performed a mass grading, site work, utilities, storm water management, fine grading and paving. 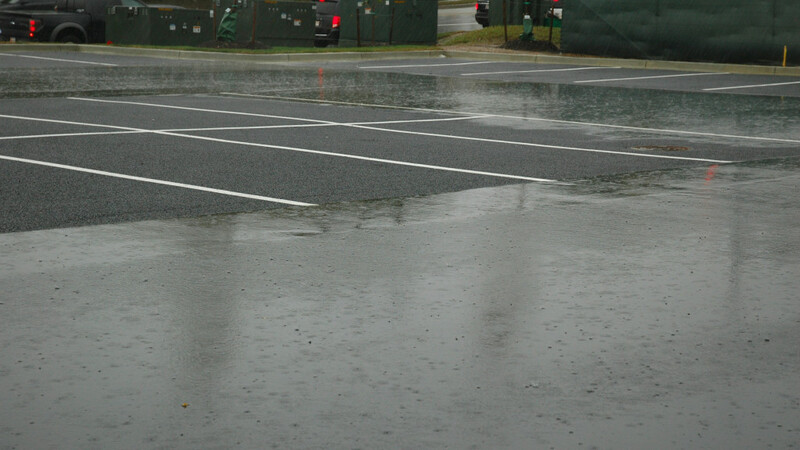 Crushed concrete from a previously existing building was used to create a recharge bed under the pavement, allowing the rain water to percolate into the soil. 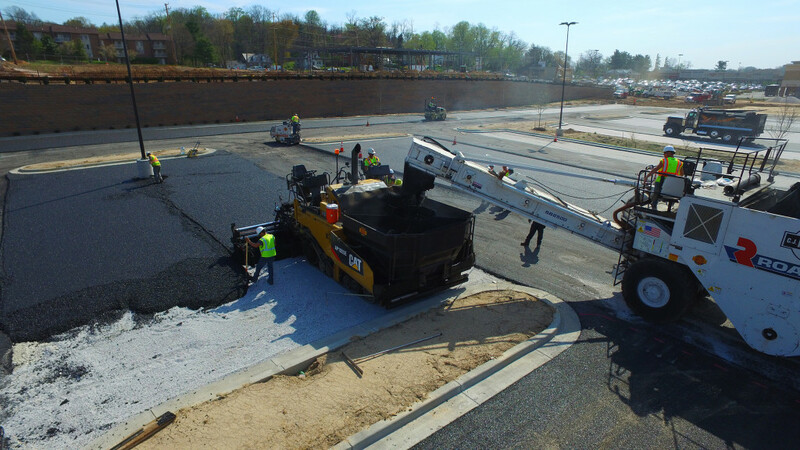 From an environmental standpoint, the use of permeable pavement and a recycled concrete recharge bed helps prevent run-off into the Chesapeake Bay and is becoming a best practice in parking lot construction.